Rok Vevar, the founder of the Temporary Slovene Dance Archive (2012) has dedicated a great deal of time and effort to creating an historical overview of the development of dance in Slovenia, in the process compiling his own documentary and audiovisual archive. Most of the material concerns contemporary scenic arts, dance and theater of the non-institutional scene over the past 20 years. The archive is comprised of a massive collection of newspaper clippings, dance festival catalogues, a register of Slovene dancers and choreographers, part of Božidar Dolenc’s photographic legacy covering dance and theater, other photographic material, dance films, footage of performances, and documentary films. The material is available primarily for the purpose of study. The Temporary Slovene Dance Archive includes donations from Neja Kos’s archive; Ksenija Hribar’s legacy; a collection of video documents of Mateja Bučar’s performances; the Slovene National Theater Opera and Ballet Ljubljana programs from the time of Pia and Pino Mlakar (1946–1958; a donation of copies of the Slovene Theater Institute); Karla Železnik’s donation; a donation of DVD copies from the Zavod Bunker Archives; donations by Maska and Exodos (certain items on the occasion of Exodos’s move in 2003); a donation by the Contemporary Dance Association of Slovenia; and Rok Vevar’s own library and collection of materials. 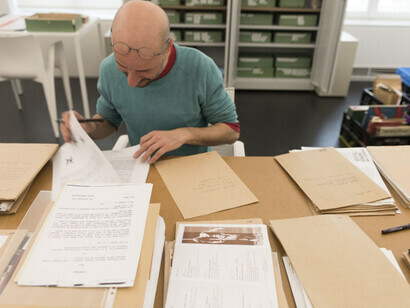 Vevar first opened the archive to the public in his apartment at Celovška 125 in Ljubljana, where people could access the material two days a week or by appointment. In lieu of a fee users committed to scan the desired materials to archival standards. 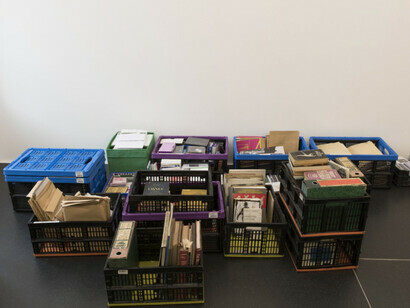 In March 2018, the Temporary Slovene Dance Archive was transferred into the keeping of the Museum of Contemporary Art Metelkova in Ljubljana. The archive is on view and accessible on the first floor, where Vevar also performs a live archive-in-progress: the archiving procedure – from collecting and systematizing to providing public accessibility – is all made visible. The Temporary Slovene Dance Archive has thus become a performative, time-specific and site-specific installation presenting the archive as a structure evolving over time and without end. Entering the institutional framework as an individual, the archivist has found material support and space while retaining his independence. “The Temporary Slovene Dance Archive (TSDA) first began to take shape in my home in Šiška, Ljubljana in 2012, Over time it evolved into a platform for documenting and historicizing contemporary dance and scenic arts in Slovenia, i.e. the practices that are closely linked to modernism, historical avant-gardes, neo-avant-gardes, retro-gardes and contemporary art. For the most part, these are scenic artistic practices transpiring outside the cultural institutions, and as a consequence, have been left by the wayside as far as public institutional archives and records departments are concerned. TSDA stemmed from my own need for documentary records and an archive, and out of my own curiosity about the history of the artistic practices and the community that essentially constituted my cultural habitus. Here I am referring to artists and their practices that are not only present in Slovenia, but are internationally extremely active and dynamic, despite the fact that they are for the most part institutionally underrepresented. In this respect, TDSA is an emancipatory, activist project aimed at making marginalized artistic practices more visible and providing study material for artists, theorists and historians. 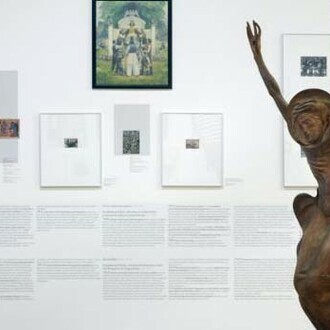 In its early stages, TSDA consisted of the donations of the Maska and Exodos Institutes, the materials collected and kept by Neja Kos (the contemporary dance consultant at the Public Fund for Cultural Activities between 1977 and 2006), and my private collection. Subsequently, material was donated by Eka Vogelnik, Aleksandra Rekar, Karla Železnik, Vlado Repnik, Iva Nerina Sibila, Mateja Bučar, Snježana Premuš, Goran Sergej Pristaš, Bojana Cvejić, Tomaž Toporišič, Amelia Kraigher, Nina Meško, the Slovene Contemporary Dance Association, Bunker Institute, the Public Fund for Cultural Activities of the Republic of Slovenia, Slovene Mladinsko Theater, Slovene Theater Institute, and others. 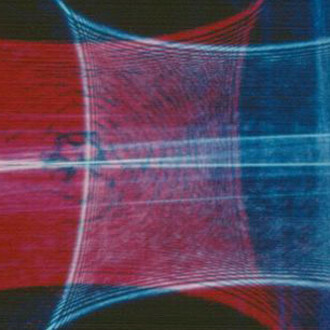 TSDA’s materials include all manner of printed matter, in-house process documentation, correspondence between artists and producers, photographic and audiovisual material, and a variety of objects related to relevant artistic practices. I would like the materials to be available also in digital form as soon as possible. As part of the Balkan dance network called the Nomad Dance Academy, TSDA is also linked to the group of activist dance archivists, theorists and historians working, since 2013, on the project “Archiving Choreographic Practices in the Balkans,” initiated by the Nomad Dance Institute. The invitation of the Museum of Contemporary Art Metelkova that TSDA move to its premises and thus co-devise new forms of cooperation represents the first bona fide initiative on the part of a cultural institution in the Balkans to offer its capacities to this type of work, materials, and use. 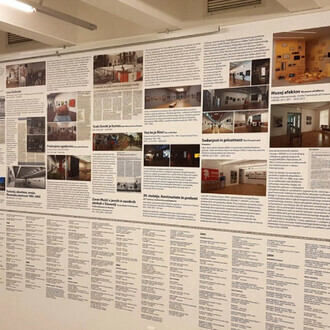 To date, TSDA and its activities have been presented in the “booksa” bookstore, at festivals like platforma.hr in Zagreb, Croatia, Antistatic in Sofia, Bulgaria, and Kondenz in Belgrade, Serbia, at the contemporary scenic arts and culture space Kino-kultura in Skopje, Macedonia, and the Mahindra Humanities Center at Harvard University, Cambridge, Massachusetts. Rok Vevar (born 1973) is a writer covering contemporary scenic arts theory and history and a contemporary dance historian and archivist. He graduated in comparative literature and literary theory at the University of Ljubljana, studied theater directing at the Academy of Theater, Radio, Film, and Television in Ljubljana, and also took courses at the Kodum Theater and Puppetry School in Ljubljana. His texts have been published in numerous Slovene daily newspapers and in several Slovene and international journals of scenic arts and literature. He is the author of the book Rok za oddajo – Izbrane kritike in članki (Litera, 2011). Together with Simona Semenič he has directed three productions/performances: Polna pest praznih rok /A Fistful of Empty Hands (Muzeum, 2001), Solo brez talona / Solo With no Talon (Glej, Maska, 2005), and Kartografija celovečernih slik / Cartography of a Feature-length Slide Show (Maska, 2005). He has also co-created three productions with the dancer, choreographer and director Jana Menger, also appearing in the later two: Gledališče /Theater (Vitkar, 2010), V postopku / In the Process (APT Novo mesto, 2011), Banana Split (AGRFT, 2015). He is the author of the performance-lecture Kako se je moje življenje spremenilo v festival / How My Life Turned into a Festival (2011–13). 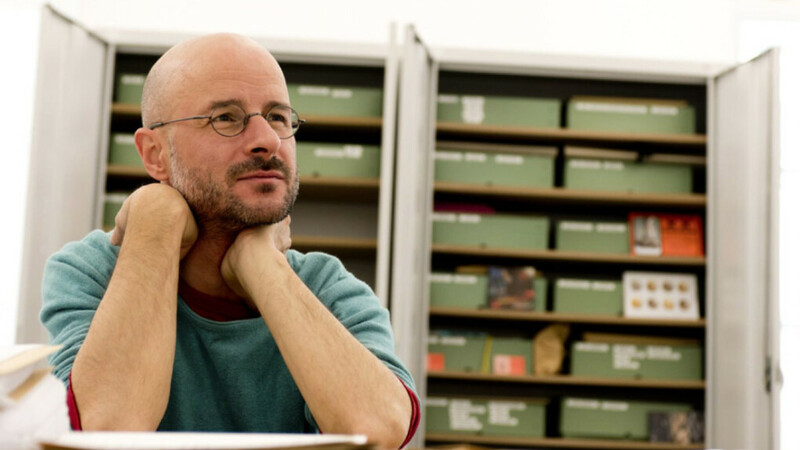 In 2011 he founded the Temporary Slovene Dance Archive in his apartment in Ljubljana. So far it has been presented in art spaces in Zagreb, Croatia, and Sofia, Bulgaria, and at Harvard, Cambridge Mass. In 2015, the TSDA hosted members of the Eastern European network EEPAP, students of the master’s degree program in choreography at the Institute for Applied Theater Studies in Giessen, Germany, and students of the master’s degree program in dramaturgy at the Academy of Theater, Radio, Film, and Television in Ljubljana. Saurce: SiGledal​​.